Beleaguered former Budapest District 5 mayor Antal Rogán (left) finds himself at the center of yet another scandal, this one involving the alleged misappropriation of billions of forints worth of EU development grants. Daily online VS.hu reports that the European Anti-Fraud Office (OLAF) has completed its investigation into the HUF 15 billion (USD 75 million) “Heart of Budapest” urban renewal program and submitted its findings to Hungary’s Attorney General’s office, as well as made financial recommendations to the European Commission Directorate for Regional and City Policies. Presumably, Europe’s anti-fraud office has recommended that the EU demand the return of part or all of HUF 9.9 billion (USD 45 million) worth of EU grants expended on the project. If so, Hungary will have to spend this money on other EU-approved projects by the end of 2015 in order to avoid having to repay it. 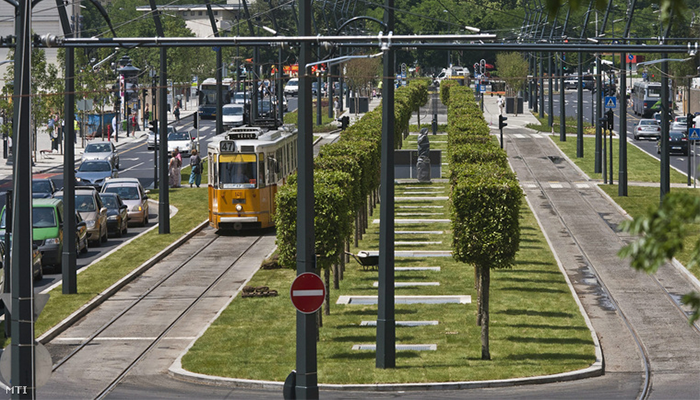 The “Heart of Budapest” downtown renovation project was announced in 2007 at a joint press conference held by city mayor Gabor Demszky (SZDSZ), District 5 mayor Antal Rogán (Fidesz), District 6 mayor István Verók (MSZP) and District 7 mayor György Hunvald (MSZP). Hunvald would later be found guilty for his role in the sale of District 7 real estate at below market value to companies which often resold them to third parties for a large profit. Recently, similar accusations were made against former District 5 mayor Antal Rogán and former deputy mayor András Puskás, although police have yet to open an investigation into the matter. A pork barrel project with plenty of grease to go around? The HUF 15 billion (USD 75 million) “Heart of Budapest” project consisted of three constituent projects. Two projects totaling nearly HUF 5 billion (USD 23 million) and involving HUF 4.3 billion (USD 20 million) worth of EU development grants were to run by the City Mayor’s office. They taken over by the Budapest Transportation Center (BKK) in 2011. 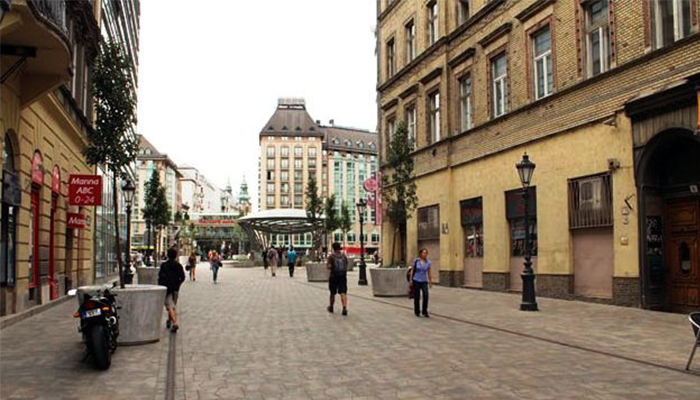 The largest of the three projects, the “New Center City Main Street” project, was run by District 5 under Antal Rogán. Elected to parliament in 2002, Rogan was elected Budapest District 5 mayor in 2006. The first phase of the District 5 project, the reconstruction of Sándor street-Károlyi Mihály street cost HUF 5.5 billion (USD 25 million), of which HUF 2 billion (USD 9 million) was EU money. The second phase was the reconstruction of the Ferenciek tere (square) at a cost of HUF 4.3 billion (USD 20 million), of which HUF 3.6 billion (USD 16 million) was EU money. The second phase of the “Main Street” project had yet to begin when EU auditors expressed their concern that (1) the winner of the public procurement tender, a consortium of two Hungarian companies, had been the only one to submit a bid, and (2) the consortium had contracted to do the work for 10-15 percent more than the estimated cost appearing in the tender documents. European Commission inspectors objected to what they claim was unreasonably strict criteria limiting, if not ruling out, competition. Bidders had to have completed (1) work in a landmark zone in the net amount of HUF 1.2 billion (USD 5.4 million), and (2) at least three separate projects amounting to not less than HUF 300 million (USD 1.4 million) each involving the installation of “ornamental pavers”, at least one of which had to have taken place in a landmark area. The EU auditors were not surprised to discover that only one consortium met this strict criteria–one bearing the name of the project itself: the so-called “Heart of Budapest” consortium consisting of Reneszánsz Kőfaragó Zrt. and Bau Holding 2000 Zrt. EU auditors determined that in the absence of another offer, the authorities had accepted an offer that was 10-15 percent higher than the amount specified in the tender documents. This, in turn, caused OLAF to conclude that the public procurement had been unfairly “directed” to the winning consortium. Accordingly, it recommended the City of Budapest and Budapest District 5 be collectively fined an amount equal to 20 percent of the total investment, or roughly HUF 900 million (USD 4 million) each. In March 2012 OLAF reportedly gave a draft English version of its report to Hungary’s Central Prosecutor’s Office in which it found that requiring companies to have performed billions of forints worth of reference work in “landmark areas” was “disproportionate” and “unrelated to the subject of the tender.” They wrote that the work did not expressly involve the renovation of landmark buildings but rather the renovation of sidewalks and public streets. 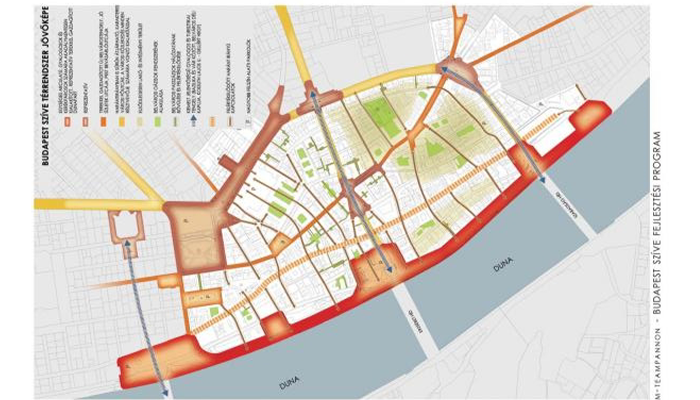 “While the streets in question could be found in the historical downtown of Budapest, the work that was the subject of the tender did not vary significantly from work performed in non-landmark areas,” concluded the draft report. Inexplicably, OLAF appears to have waited until the end of 2014 to issue its final report. Asked to comment, a spokesperson for Hungary’s Central Prosecutor’s office told VS that the materials received from OLAF were still being translated. In March 2012 District 5 deputy mayor András Puskás told index that the District mayor’s office had begun collecting data for the National Development Agency (NFU), including information on how many European companies other than Reneszánsz Zrt. would have met the criteria, as the tender was not only open to Hungarian companies but foreign ones as well. (NFU was wound up at the end of last year for reasons that have yet to be adequately explained, especially considering that for the six months prior to this it was personally headed by then-Prime Minister’s Office state secretary, now minister, János Lázár). Puskás told Hungarian State News Agency MTI that while his district knew about the investigation, it had not been informed of any objection from OLAF. He denied the City or the District had overpaid for the work and did not think it likely that several hundreds of millions would be taken from the Heart of Budapest program. It’s easy to be first when there is only one offer. 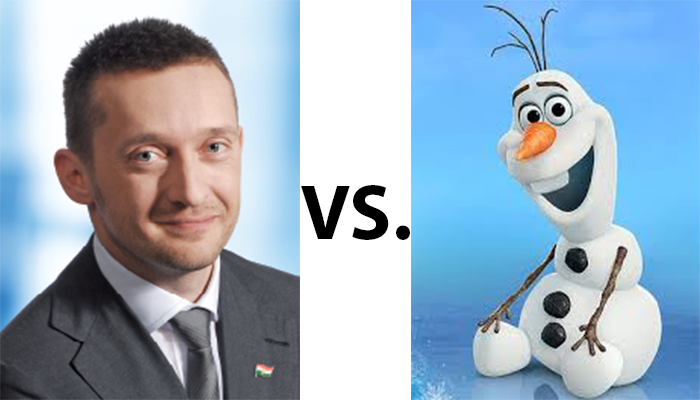 40 percent of Hungarian public procurement involves choosing from among but one offer. In other words there was no point to the competition. This is one reason the EU has sent auditors to audit the use of EU grants in Hungary. Public tenders resulting in just one offer do not necessarily indicate corruption, but the risk of it greatly increases. According to sources who have witnessed auditor’s work from up close, first they choose the tenders that are to be thoroughly reviewed by highlighting the ones in color where there was only one proposal. Most of the highlighted tenders involved the Center City Main Street project, the Heart of Budapest project, and the project to reconstruct the Margit bridge. The projects were also suspicious because even calculating with Western-European prices the construction seem expensive, or at least that was the auditors’ initial opinion. Will Rogán share Hunvald’s fate? Rogán presently serves as the ruling party Fidesz caucus leader in the Hungarian parliament, making him Hungary’s third most powerful politician after the Prime Minister and the Chancellor. As a member of parliament he enjoys immunity from prosecution. In order for parliament to lift Rogán’s immunity, the parliamentary ethics committee chaired by György Rubovszky (KDNP) would first have to agree. It turns out that, in addition to receiving a substantial monthly fee from District 5 to advise on real estate matters, Rubovszky’s daughter is a District 5 deputy mayor! It was revealed last year that both district mayor Rogán, deputy mayor Puskás, and National Economy Minister Mihály Varga all owned flats in District 2’s exclusive Pasa Park gated residential community, which none had properly reported in their declaration of personal assets. Opposition politician Péter Juhász (Together) recently exposed details of a large, downtown scandal involving the sale of district-owned property. Minister for the Interior Sándor Pintér and Prime Minister Viktor Orbán “advisor” Árpád Habony have also been linked to the scandal.